Mare was founded in 1979, although our roots can be traced as far back as the earliest part of the twentieth century when production was focused upon saponified resin acids. 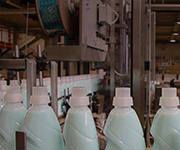 Since our conception, the company has grown both organically and through acquisition, and now manufacturers over 220,000 tonnes of products each year, positioning itself as the leading manufacturer of high quality functional chemicals. The headquarters and primary research and development facilities are in Ossona, near Milan, which is also home to our largest production site. 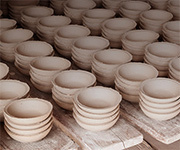 further production plants are in Kilafors, (Sweden), Duren (Germany), Niklasdorf (Austria), Millesimo and Veneri (Italy). To support our customers, we have business units throughout Europe, including here in the UK. This ensures we meet the demands and service requirements of our valued customers. 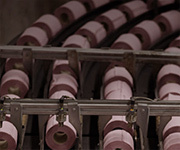 over 90% of the products supplied into the paper industry by Mare are produced by Mare. As you would expect from a leading company, Mare are registered with and comply to the requirements of Uni en iSo 9001:2008 (Quality), Uni en iSo 9001:2008 (environmental), and Uni en iSo 9001:2008 (safety). a part of our continued drive to increase sustainability, our Ossona facility was recently fitted with an extensive solar energy system that now provides the entire plant with over 20% of its energy requirements. 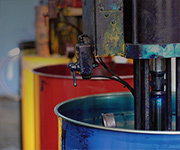 Sizing chemicals: Mare are unique in our ability to be able to produce the broadest range of sizing chemicals available on the market today. They include AKD, ASA, Rosin and Surface Sizing products which are all available in a range of solids contents and degrees of cationicity. This traditional chemistry remains at the heart of Mare. In 2016/17 we have made further and significant investment in developing our production facilities for this product line. Mare have always led the way in developing technological advancements in this field and as the drive to continually reduce the levels of AOX, DCP and mCPd gains further momentum, Mare remain the supplier of choice in this field. 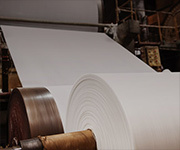 Based in the heart of Tuscany, Mare has its own dedicated Tissue and Towel division. The team at Mare dynamics provide market leading technology that covers the whole spectrum of chemical requirements for the tissue producer including the very latest in yankee coating chemistry. 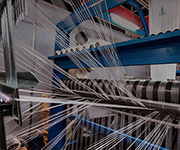 In recent years Mare dynamics have been chosen to supply the whole process chemistry on a number of new machines commissioned throughout the world, we have the products and highly skilled personnel to provide microbiogical control, water clarification, fabric conditioning and cleaning, stickies control, defoaming, softening, debonding and wet strength resin to capable of meeting the demands of even the fastest, most modern machines. Mare has supplied enzymatic fibre modification programmes to the tissue industry for several years. due to its success in this field Mare has recently expanded its MareZyme portfolio to cover the whole of the paper and board industry. 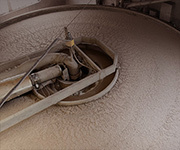 The MareZyme products are specifically designed for each mill taking into consideration the furnishes used, process conditions and objectives of the application. Mare also provides enzymatic solutions for starch modification, pitch and stickies control, drainage aids, vessel element control and deinking. 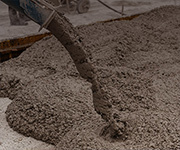 Carboxymethyl cellulose has been used in our industry for many years to provide both dry strength development, charge control and wet strength resin retention. Its presence in the market remains as important as ever. 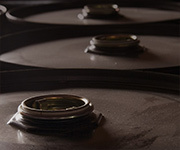 Mare, from its facility in Niklasdorf Austria, manufacture a wide range of CMCs, encompassing a wide range of molecular weights and degrees of substitution. Tissue World 2017 has come to the home of Mare with our headquarters just a 15-minute drive away from the Firamilonacity Hall where the conference and exhibition will take place. in conjunction to the exhibition event, Mare will hold its first “open house” at the Ossona Plant. We are pleased to invite you to visit our facility throughout the Tissue World event, where tours of the production and research and development facilities will be given. This is an opportunity to see one of the most modern and flexible sites and organisations supplying the industry today. Mare meet all the chemical requirements for the traditional and most modern of paper and board mills and machines but what makes Mare unique is its people. During a recent training event, it was calculated that the Mare field based team in attendance had over 500 years of experience in this most specialist industry. combining this experience with a passion and dedication to provide the ultimate package, Mare remain the company of choice for the papermaker today.